​BT Sport pundit Rio Ferdinand believes Victor Lindelof's calmness and character has helped the player establish himself at Manchester United. Lindelof, who joined the Red Devils at the start of last season, endured a difficult first campaign at Old Trafford and initially struggled both for form and a regular first team place. The Swedish international only managed 17 ​Premier League appearances last term under Jose Mourinho, but it's been a different story in recent months. The current Swedish Player of the Year has been a regular fixture in the United side this season, playing in all but five league games, and has really taken on the role of the leading man at the heart of United's defence - especially since the appointment of Ole Gunnar Solskjaer as the club's caretaker manager. Lindelof has been compared to Ferdinand for his playing style, and we at 90min were fortunate enough to catch up with the ​United and England legend recently. Ferdinand, quizzed about Lindelof's qualities and rise to prominence ahead of this week's Champions League meeting with Paris Saint-Germain, admitted that there are qualities in Lindelof that remind him of himself in his playing days. "There's one element of his game where I can see similarities - and that's his calmness," Ferdinand said. "He's very calm, never flustered. But I think his in first season - for a foreign player to come here from a league that's not as challenging as this one, in Portugal, I think it's difficult. "He's shown character - that's a huge thing you need to be able to play for Man Utd - [you need to have] a good, strong character. His career at United didn't start well, but he's shown the character to come through that." Ferdinand appeared in no doubt that Lindelof was the club's first choice centre back following his recent run in the team, and hinted that Solskjaer's presence at the club may have helped the 24-year-old settle in. "I think Ole, being from a similar part of the world, has been able to allow him to relax into the role, and it's really been beneficial for him," he added. "I think we're seeing a player who we had high expectations of and it's really starting to bare fruit. "He's first choice now. If you've got a first choice centre half on the books right now, he's the man holding the shirt." United do have a number of other options in central defence - Chris Smalling and Phil Jones have recently signed new contracts, while ​Eric Bailly and ​Marcos Rojo remain on the club's books - but Ferdinand believes the club will use the summer market to bring in a new top-quality centre half to play regularly alongside Lindelof. Nice little chat with @rioferdy5 earlier today. Spoke about Man Utd, Victor Lindelof and Rio’s hero growing up - plenty more too. 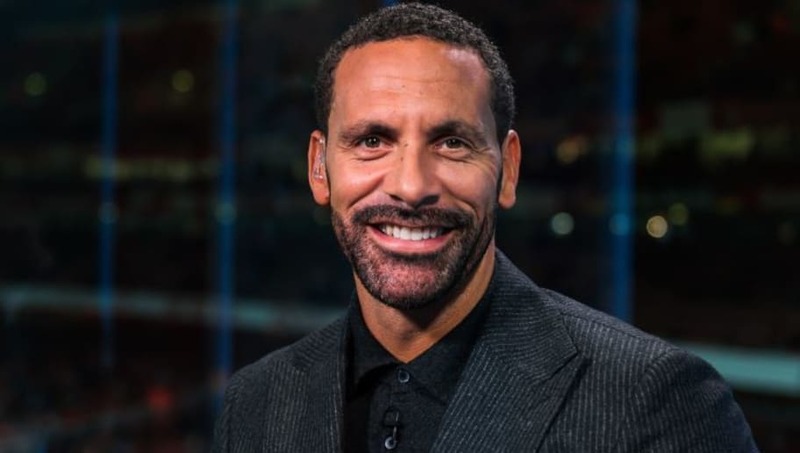 While stopping short of a name, Ferdinand did list the qualities United will need to identify in any new acquisition before confirming any arrival: "I think they'll buy someone to play with him. There's loads of good players out there, but it's about getting the right one. "But the most important thing - you've got to find a player who's a 'Man Utd player' - who can fit into Manchester United's philosophy. You need hungry people in there - you don't want joyriders who will come into the changing room, not passengers, people who are going to help steer that bus in the right way."